The development of the Azerbaijani sport is the result of all-round development of the country. 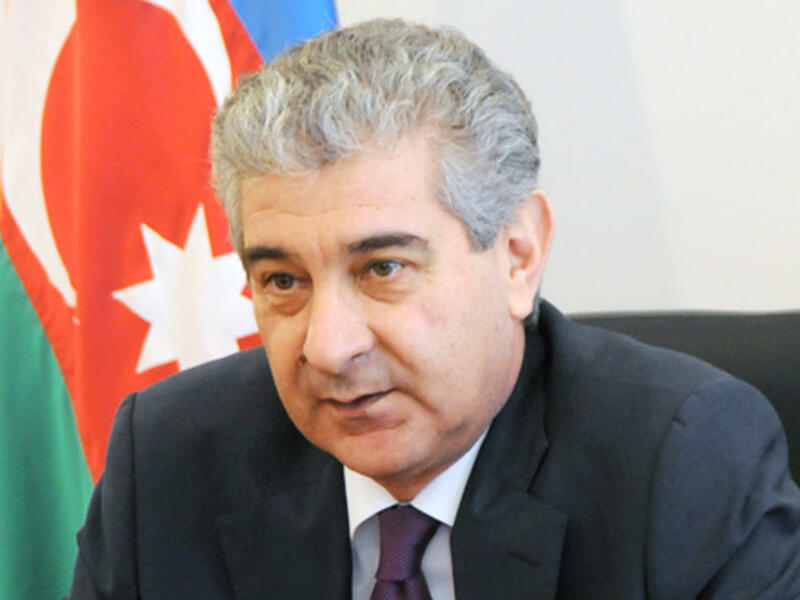 Ali Ahmadov, Deputy Prime Minister, Deputy Chairman-Executive Secretary of New Azerbaijan Party made the remark while commenting on the success of Azerbaijan’s Olympic athletes. He said that the 31st Summer Olympic Games in Rio de Janeiro were successful for Azerbaijani athletes and sports fans, as the athletes climbed on the Olympic podium 18 times. “Azerbaijan was one of the 15 countries of the Olympics, which won most number of medals, and this is a significant event. Successful performance of Azerbaijani sportsmen is a clear indicator of the development of sports in the country. The development of sports, in turn, should be regarded as the result of dynamic development and all-round prosperity of the country,” the deputy prime minister said. The national heroes took 18 medals in Rio including one gold, seven silver and 10 bronze, thus setting a record in the sporting history of independent Azerbaijan. The number of medals is growing from games to games -- Atlanta - one, Sydney - three, Athens - five, Beijing - seven, London - ten and finally Rio de Janeiro - 18 medals. In Rio, Azerbaijan for the first time took medals in canoe, kayak and taekwondo, and for the first time reached the final in boxing. This year the country for the first time saw three-time Olympic medalists such as female wrestler Maria Stadnik (48kg) and male wrestler Hetag Gazyumov (97kg). Azerbaijan is the most efficient team for medals per athlete, according to the British Telegraph. So, when it comes to the size of the teams each country has taken to Rio, Azerbaijan emerges as the most efficient team. The country has won 0.3 medals per athlete, with its relatively small team of 56 athletes.